Winners of the Junior Girls’ Team title two days earlier in a most emphatic manner, the Chinese quartet comprising Shi Xunyao, Qian Tianyi, Sun Yingsha and Liu Weishan imposed their authority on proceedings in the ensuing Junior Girls’ Singles event at the Korean Air 23rd Asian Junior and Cadet Championships in Asan. At the close of play on Monday 3rd July, all four had reserved semi-final places. In the round of the last eight, Shi Xunyao, the top seed, beat Japan’s Yuka Minagawa, the no.8 seed (11-9, 11-4, 11-4), whilst in a similar impressive fashion, Liu Weishan, the no.7 seed, accounted for Asuka Sasao, the no.2 seed and also from Japan (11-6, 16-14, 11-5). Likewise, not be upstaged by their colleague, currently players with no world ranking and thus not seeded, Qian Tianyi and Sun Yingsha recorded equally impressive results. Qian Tianyi caused Japan more pain by overcoming 12 year old Miyuu Kihara, the no.4 seed (11-6, 11-6, 12-10); Sun Yingsha ended the hopes Kim Jiho, the no.5 seed (11-4, 11-2, 11-5). The result was somewhat déjà vu for the Korean, last September Kim Jiho had departed in the same round losing to Qian Tianyi, the eventual winner (11-8, 10-12, 11-4, 11-4, 11-6). Could that be a good omen for Sun Yingsha? At the semi-final stage Shi Xunyao meets Qian Tianyi, Sun Yingsha opposes Liu Weishan. Semi-final places for China in the Junior Girls’ Singles event; it is the same in the Junior Girls’ Doubles competition, where once again authority has been asserted. 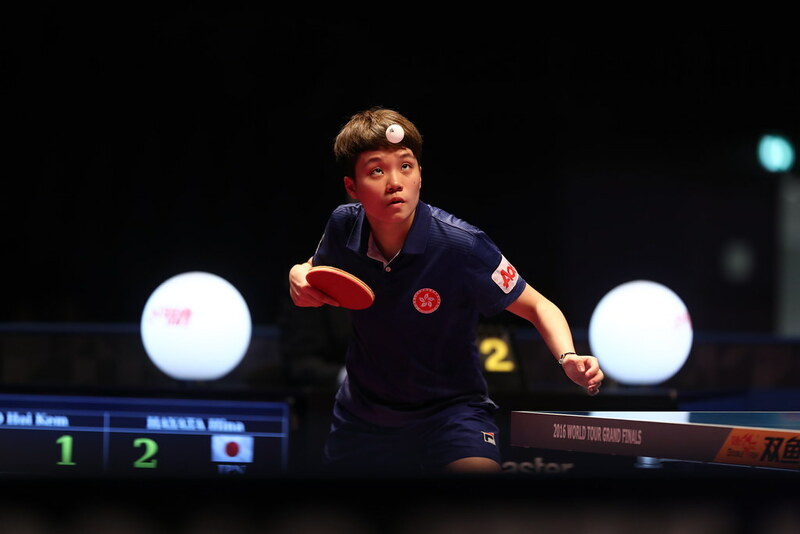 In the penultimate round Shi Xunyao and Liu Weishan meet Japan’s Miyuu Kihara and Yuka Minagawa; Sun Yingsha and Qian Tianyi oppose Korea’s Kim Jiho and Kang Dayeon. Play in the Korean Air 23rd Asian Junior and Cadet Championships concludes on Tuesday 4th July.